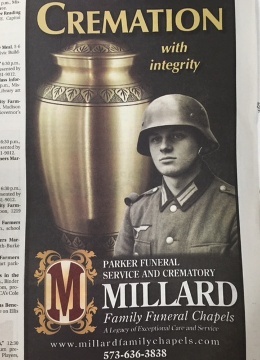 Look, I’m all for integrity, but if you’re gonna it up as the prime virtue of your local funeral home in a large, color, newspaper ad, you should probably avoid using a World War Two-era German Soldier as your poster boy. In fact, this is the second time German soldiers have snuck behind Allied lines and into our advertisements lately. 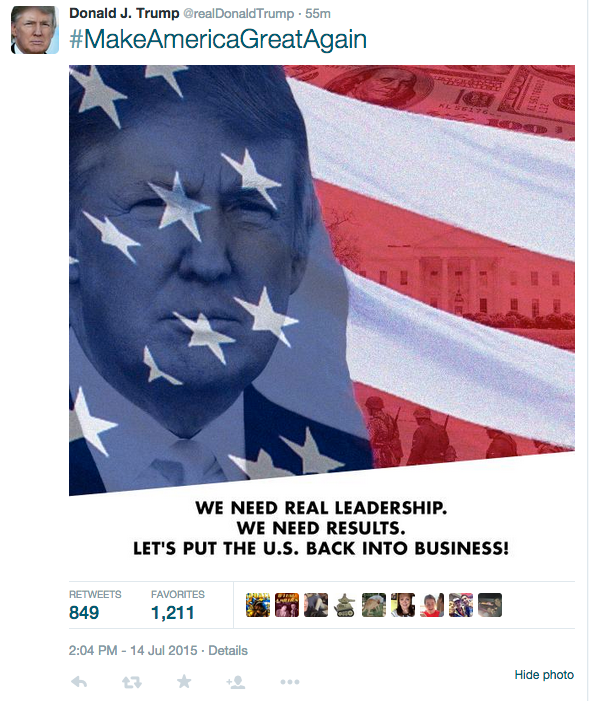 Last week, bloviating hairpiece Donald Trump tweeted – then deleted – a campaign ad appearing to use Waffen-SS soldiers (or convincing reenactors) with the hashtag #MakeAmericanGreatAgain. Why Is This “Stop Iran Rally” Website Using a Picture From a Trayvon Martin Protest on Their “Donate” Page?